From the shores Georgian Bay in Midland Ontario, I offer hand made, hand wired, vintage style effects for guitar players. 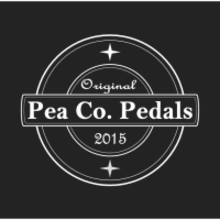 My name is Steve and I am the founder of Pea Co. Pedals. I have over 15 years of work experience in the electronics field and have been able to combine my life long obsession for music with my electronic skills. I do not employ large runs of product manufacturing. I find that this practice takes focus away from each individual project. Although certain products will be aesthetically and sonicly identical they are always given my individual attention. This enables me to focus the scope of each project providing quality outcomes. I deliver truly hand made effects and I build everything like it is to be my own. Returns accepted within 7 days after purchase. All shipping costs are the responsibility of the purchaser. A 10% (of item price) fee will be charged to restock.